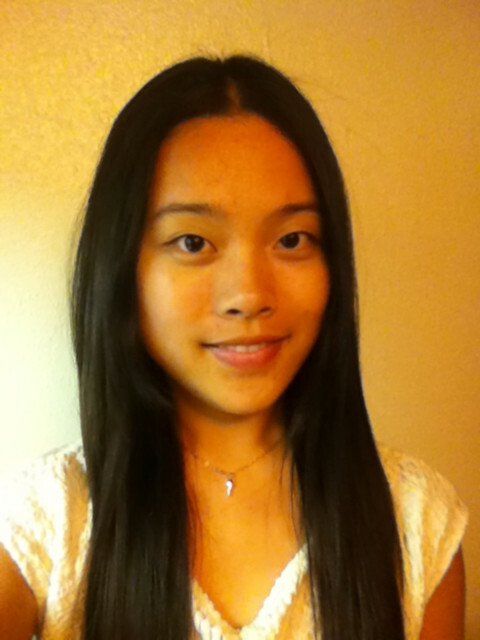 I am from Shanghai, China, and currently a sophomore student double majoring in accountancy and studio art. I have a strong interest in European culture, especially Romance languages and Renaissance arts. Vincent Van Gogh is my favorite artist. I wish I could have my own studio at some point in the future. Travelling is also one of the most important parts of my life. It makes me realize how incredibly enormous and diverse the world is created by God, and how much I can see and learn from the human culture. I believe that the pursuit of knowledge is always a humbling experience. The SLA Grant supports me to learn the most important Foreign language for me. French is not only a tool for communication, but also an art that assists me explore the European culture which has compelling impacts on both the world of business and arts. I believe business people are responsible to achieve peace through commerce. As people know, an abundance of non-profit organizations are in French speaking countries, especially in Africa. Immersing myself in a six-week intensive French courses would greatly enhance my French, which enables me to communicate with people and organizations I would meet in my future career. Additionally, I am extremely interested in learning foreign languages. I have been studying French for over two years and my passion about it has never reduced. I am fascinated about European arts, particularly French Renaissance art and Impressionism art. In order to perform art history research on French documentary works, I need have a decent command of this language. The SLA Grant perfectly meets my eagerness to continue learning French and achieve one of the most important study goals in my college life. I hope that I can develop a more profound understanding of the European culture as well as significantly improve my French ability through the SLA Grant. During the six-week intensive French courses in Tours, I will not only enhance my spoken French in class, but also, more importantly, immerse myself into the language environment by interacting with local people and engaging in cultural activities. I want to be able to get out of my comfort zone and reach a higher level of French, where I can have conversations with native speakers on deeper topics than daily ones. In addition, I hope to be more confident in speaking French than I was in class here. At the end of the summer, I will be able to have a good command of practical spoken French, such as food, weather and transportation. At the end of the summer, I will be able to communicate in French with native speakers on daily topics such as traditions, religions and ethics. At the end of the summer, I will be able to describe my home country, China, as well as the United States, to local French people. At the end of the summer, I will be able to engage in cultural and linguistic interactions that beyond my comfort zone. First of all, I plan to take part in the excursions during the term at Institut de Touraine. An art history teacher from the school acts as a guide for us in our discovery of the French artistic and cultural heritage. 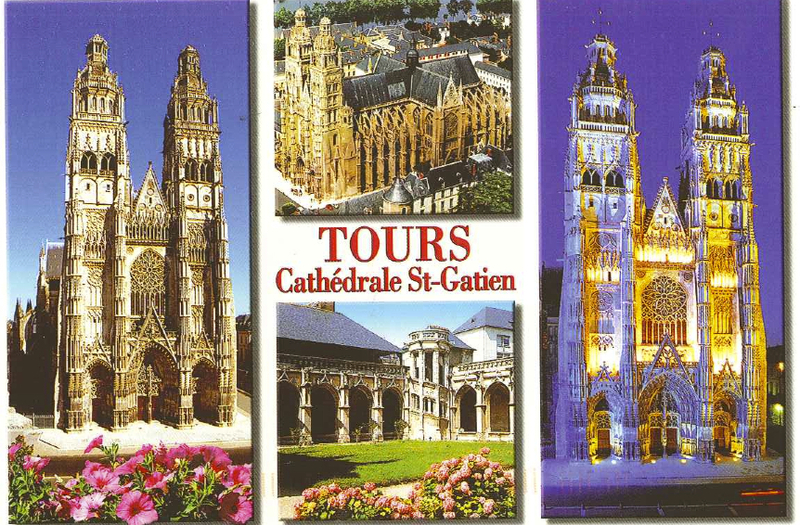 The sites we would be visiting include the residence of Leonardo da Vinci, a marvelous Renaissance chateau, and a splendid Gothic cathedral, etc. During the trip, I would not only improve French by listening to the explanation of the teacher in French, but also develop a more comprehensive and in-depth understanding of French culture and treasures. There are also a variety of physical and sports activities instructed by teachers twice a week. I plan to join sport teams such as basketball, volleyball and canoeing. During these activities, I would have more opportunities to get along with students who are learning the same language as me. The daily conversation and the sharing of learning experience would help me improve my communication ability in French as well. I am also considering joining the Christian Youth Fellowship in a local church and providing service there as I usually do in my church. It would be an excellent opportunity for me to know local people and culture while serving God. Last week was my first week in the Institut de Touraine in Tours, France. I took a 20-hour/week French class there on weekdays, during which I started knowing the school and classmates that were from different countries such as Ireland, England, Swiss, Columbia, Mexico, Kuweit and so on. Although we had distinctive backgrounds, we shared the same study goal here. In order to enhance my French level as much as possible, I tried to communicate with everyone there in French rather than English. Besides that, since I am staying in a residence where there are only French-speaking students, I obtained more opportunities to practice my French from the interaction with people whose first language is French. They accompanied with me to some traditional events in the city and we sometimes did French cuisine together. I could not only learn French but also immerse myself into the French culture from these experiences. This is my second week in Tours and everything has been great. I tried to avoid speaking English and Chinese as much as possible. Last weekend I went to Paris to visit my Notre Dame friend there and we kept speaking French even though English was more convenient for both of us. During the tourism at the Louvre and other sites in Paris, I also communicated with the French people such as salespersons and guides in French, although many of them were bilingual. I was happy to find that most French people are very nice and friendly. Sometimes I got stuck with some words but most of them would still patiently try to understand me and help me with the vocabulary, which was very encouraging. Since I take one-week express course every week during my time here, my professors and classmates change time by time, from which I found more positive than negative impacts. There are people from Kuweit, Qatar, Columbia, Brunei, Japan, South Korea, Ireland, Canada, Morocco, Mexico and many other countries all over the world, so naturally French replaces English to become the most comfortable language for our communications. Outside class I made friends with people from various backgrounds and got to know parts of their cultures, which I regard as a bonus on my study in here. I switched to a higher-level class this week and gladly started learning something more profound than conversational topics in French. We talked about news as well as some political issues in France and the world. Although there were still some difficulties for us using the correct words, our professors always kindly encouraged everyone to express her opinion in front of others as much as she wanted. Normally we studied grammars in the morning and had oral practices such as debates in the afternoon. In grammar courses I reviewed some tenses that I almost forgot, such as the “futur simple” and “subjonctif.” From the exercises I got more familiar with their utilizations but still found it difficult applying them when I spoke. In terms of the oral practices, I particularly enjoyed the debates, which put me in a circumstance where I had to quickly organize my thoughts in sentences and efficiently defend myself. This was a challenging but effective way to improve my ability to convey my thoughts in a real discussion. I also took part in a lecture on French civilization held by l’Institut. The lecturer introduced the change of French families in history. Although it was somehow because of his slow talking speed and the aid of gestures, I excitedly found that I could understand most of what he said! In order to enhance my listening ability, I switched my Youtube homepage to the French version so I could get more exposed to the French speaking environment and learn the way native speakers speak. In the weekend I went to Bordeaux by myself and met many interesting French people on my trip. For example, I met a French college student who sat next to my on the train and we talked about things like entertainments for French youth and high education systems in France and the States. The conversation was in both English and French since both of us occasionally could not come up with words in the language that the other one preferred. It sounds weird but sometimes this kind of language barrier makes a conversation more fun. I also took part in a one-day wine tour to know about the Bordeaux’s worldly famous wine culture. 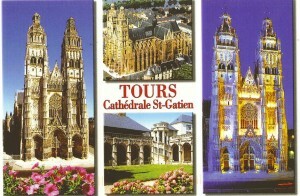 It was a bilingual tour where the guide explained first in French and then in English. I paid particular attention to her explanation in French. It was a bit frustrating that I could know understand many complicated long sentences she said but I believe things will turn better and better as I keep trying. Can’t believe it was already my fourth week in Tours! I have got well adapted to the local lifestyle and enjoyed it a lot. Last Saturday was French national day and I went for a French concert with my classmates and a fireworks show in the city center with my neighbors. The concert was filled by various types of French and European music, both pop and traditional. Although it was raining there were still more than two thousand audiences staying till the end of the show. Before that I did not have much exposure to French music, yet this experience increased my interest in it, so I searched some French songs after I got back. I was surprised that many grammars I just learned in class were applied in many songs, such as “les pronoms complements” in Parole de Si Tu La Croises Un Jour and “subjonctif” in Pour que tu m’aimes encore. French songs might also be a good method for my language study. I also participated in an excursion organized by l’Institut to Amboise, a town 30 minutes from Tours. It is the place where Leonardo da Vinci lived at the end of his life. As an art major student, I have already some of Da Vinci’s work in high Renaissance period and was extremely interested in seeing his last residence. L’Institut arranged us a professor who accompanied with us visiting le Chateau d’Amboise and le Chateau du Clos Luce and provided explanations about the art history in his time. I also went to the fine arts museum of Tours by myself to explore the arts in Tours as the art center of France in 1500s. I have specially collected the French version of information brochures in these sites so that I could review them in the future. In class I started learning many new grammars such as “le gerondif” and “le plus imparfait.” I realized that I still unconsciously misused the forms of verbs in real conversations, but from the writing practices in class and homework outside, I had the opportunity to consolidate things learned and significantly reduced the number of grammar mistakes in my essays. I am so surprised about the change of the way I speak French. I still clearly remember how awkward was my spoken-French was when I first came to France. I was always stuck with some really often-used words, even those I had learned in class before. But now I am able to make conversations with local people on some more “French” topics such as fashions, vehicles and political issues like Muslims’ situation in France. I also learned a variety of frequently-used phrases that are easily ignored when I am in class. For example, there was one time when I was walking on the street and saw a girl fall down from her bicycle. I really wanted to help her but just could not come up with the French expression for “are you okay?” At that moment another French man went up to her and said “ca va?” Then I just realized that “how are you?” and “are you okay?” are the same in French! Also I remember that I was really confused by the sentence “comme vous voulez” when I first went to a French restaurant and ordered food, since I had never learned it in class. Now I am just so used to it. I am really glad to have small things like these to help me know more and more French expressions. Can’t believe it is my last week in France and I am leaving on Friday! My time here has been so fantastic and I don’t want to say goodbye to the Institut at all! I learned so much in and outside class. Although I am not fluent, my French has been improved to a large extent since I first came here. One thing I am really proud of is that now I do not fear of starting a conversation with French people, and most of them turn out to be very nice. For example, when I walk along le Loire river and saw some old people fishing there, I just stopped by one of them and started chatting with him. He stays in Tours for his whole life and comes here fishing almost every sunny day. I really like the tranquility of this city. Wandering on the street on a nice afternoon, passing by those “café,” “boulangerie,” “antiquite” and “coiffeur,” everything seems so peaceful and enjoyable. From this unique experience, I found so much fun learning a foreign language, gaining a sense of achievement, noticing the insufficiency of knowledge and then developing a stronger motivation to keep learning. There is still so much to say but in a word, studying and living in Tours for six weeks is one of the most special and beneficial experiences in my life, and experience has stimulated me to continue learning French not only in college, but also for life outside the classroom. La France va me manquer enormement. My study at the Institut de Touraine in Tours, France is definitely the most highlighted experience in the past summer. I not only reviewed those I knew before and learned more grammars, but also picked up various native expressions that did not appear on textbooks. Additionally, I experienced an extensive cultural diversity there. Most of my classmates were from non-English speaking countries so French was the dominant language even outside class. By participating the field trips organized by the language school every week, I exposed myself very frequently to the local French traditions and culture. I believe that I have reached the goal that I set before my departure since my spoken French was improved to a large extent and despite of occasional grammar mistakes, I could start a conversation with a local on multiple topics. During the SLA Grant experience, I got more exposure to European culture than ever before. Cultural diversity is not just different cuisines or architectural styles, rather, it is reflected by people’s different interests and mindsets in politics, religions, sports, cultures, traditions and all the other issues. Beside learning French and exploring the country, I also started realizing that outside my usual life circle, there is an extremely broad world where people lead thoroughly distinctive lives from mine. For example, before then I always thought Muslim countries as a mystery and completely different world, but through the communication with some of them in France, I discovered an abundance of respectable traditions within their religion and culture. Interacting with people from different countries not only expanded my breadth of knowledge, but also, more importantly, taught me to perceive differences in a objective and inclusive way. The experience in France greatly stimulated me to continue learning this language. I intend to put constant efforts into French study not only in college but also after graduation. My French skills would help me better comprehend European arts and history, and enable me to communicate with those French non-profit organizations where I would love to work at some point. The SLA experience also improved my independently living ability in a foreign country.